After a crisp cold start this morning I finally managed to get out for a walk in the afternoon with my daughter over the Leyton Marshes. Once on the Lea at the Middlesex Filter Beds I spotted a rare bird, a firecrest skipping from branch to branch just ten feet away on the banks of the river Lea. I’m afraid even the capabilities of the IPhone could not record this tiny bird but dutifully I managed to record the walk. Winter is fast becoming my favourite season. The problem is we have too much stuff and when we buy new stuff it is packaged in more stuff. As we run out of space we either rent some space to store it in or we throw it out. Sometimes it gets re-cycled or better still it is re-used and passed on. A generation or two back the passing on of stuff or re-making something was an everyday event…not now or very rarely. So what is the problem with stuff? Well it takes energy to produce, transport and ultimately get rid of and that includes re-cycling. 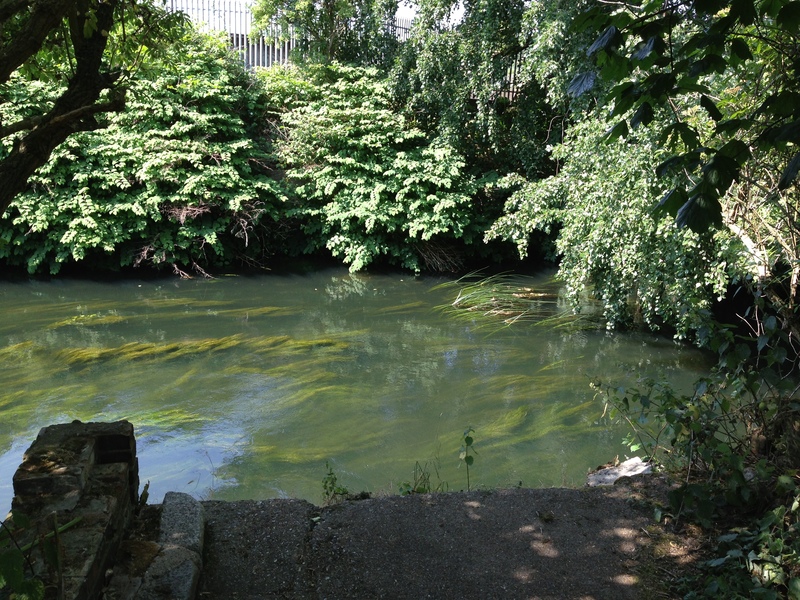 So why is the Tuesday Swim wittering on about green issues? Well this morning I had meeting with Andreas at Public Works who is putting together a one day event on the Floating Cinema called Experiments in Household Knowledge, and it got me thinking. Firstly I was thinking about my own personal consumption of stuff and my prime pastime of angling. Well the good news is the majority of my tackle was produce before 1975 so I guess that ticks the re-use box, a lot of my bait comes comes from the wormery/composter in the garden and I generally walk to my fishing spots along the Lea. I won’t kid you though as many miles are spent driving throughout the year for good fishing, it’s not easy being green. Anyhow this weekend there is Experiments in Household Knowledge which showcases people who have a passion for producing something from nature in our hedgerows or supermarket skips or re-working something from discarded stuff. There is also three short films about people who craft things with their own self-taught knowledge. One problem we now have is technology, its beyond our understanding, the art of fixing and repairing is fast becoming lost. So this weekend is an important event on the Lea Navigation in Hackney Wick, to see folk that can make things, adapt and re-use. Why is it important? Communities in the future will have to become more self-suficient, not in a Tom and Barbara Good manner but more where local authorities draw in the community to be responsible and pro-active. To begin with, one will have to make a cricket ball using paper-mache and rubber bands….knowledge is power! 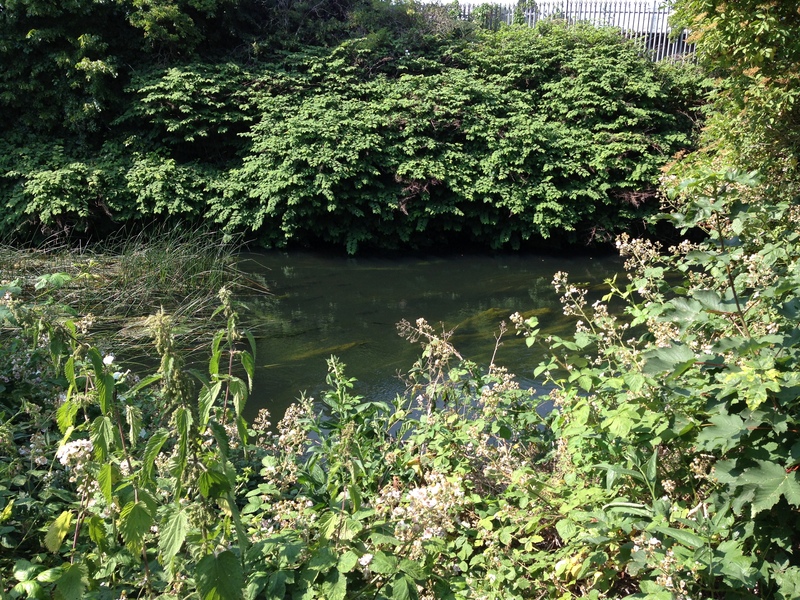 The Lower Lea – A neglected river & her anglers. Since June 16th I’ve not been out fishing due to all sorts of things getting in the way, but I have managed to spend some time observing the Lower Lea, my disguise is my daughters pram and a pair of Polaroids, laden below the perambulator are some free bait offerings and a catapult just in case I come across some feeding carp. The Lea around Hackney doesn’t really get fished that much although I have seen a few regulars all fishing for a different quarry. 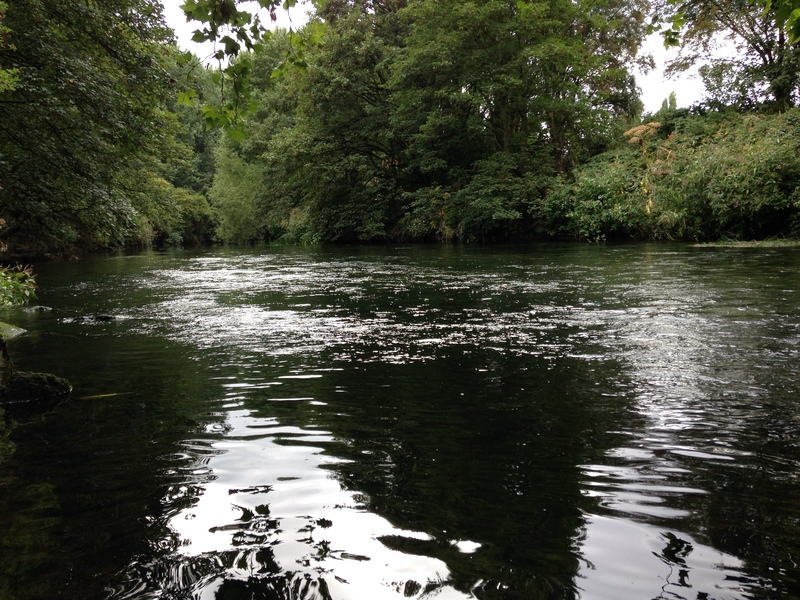 It is now mid July and we are having a proper heatwave, the river is running clear and the fish are probably only biting at dawn and dusk or in the night. You may ask why am I pointing out these anglers to you on a fairly average stretch of river? Well, the Lower Lea is not an easy place to fish, with past pollution outbreaks and now a dominant presence of the cormorant, the poor old fish population has suffered but there are plenty of above average fish still in the Lower Lea, I know because I have seen them and on the odd occasion caught them. 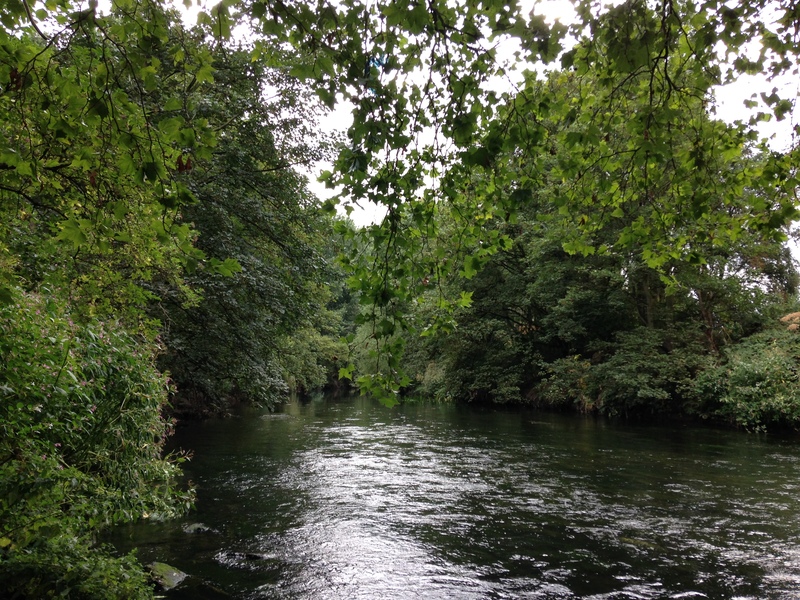 To be a Lower Lea angler you have to be resourceful, banks are over grown and the fish are hiding below the over hanging branches and under-cut banks from the ever-present cormorant. 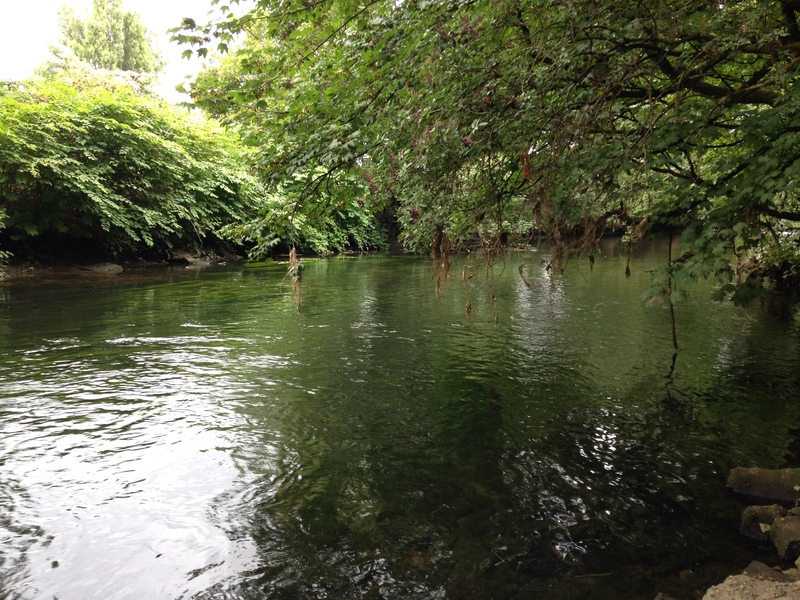 Getting to a swim can be quite demanding although now in mid July long dry trodden grass reveals the routes taken by anglers to the rivers edge. 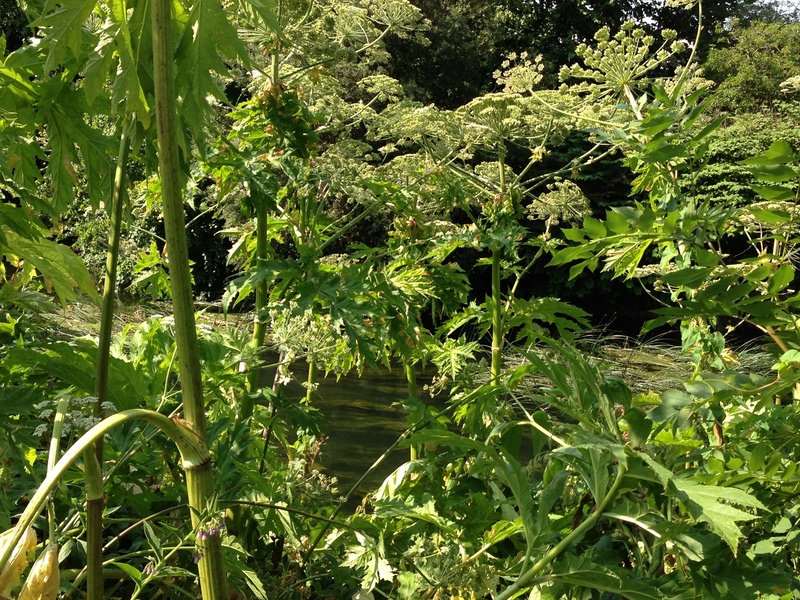 Once a swim is cleared of the Giant Hogweed and the burning blisters subdued, a session on the river can commence, as I said the Lower Lea angler is no ordinary piscator, he has to take his fishing just a little further. A frequent visitor is the quintessential rover searching for perch and pike, armed with a rucksack, short spinning rod and a few soft and hard lures, he does quite well, I’ve seen some photos of his catches, including a huge perch of 3lbs plus. I’ve seen him walking a good stretch of the river and canal covering a good few miles each time while I dart between glides on a mountain bike, a simple approach but with results. This chap reeks of the Jim Gibbinson era with his camouflage jacket, aviator Polaroids and shoulder length hair, he starts fishing at around midnight, no bivvie for him just a thick jumper and the shelter of a overhanging bush. I came across this guy one morning tucked away oblivious to many a dog walker as he sat in wait for one of the huge carp that cruise by in the streamer weed. He told me of monster bream he had caught that night, up to 10 lbs! I’m used to listening to anglers tales of monsters but this guy sounded ok to me, his approach and knowledge of the river seemed pretty sound and his captures matched with my own observations of where the big carp and bream lie. On the better dressed side of angling I came across an angler sporting a pair of waders and a red beard in search of chub or possibly an elusive London brownie. After climbing down the side of a broken wall he was seen wading out into the head of a weir casting up into some faster flowing water. I told him of some chub further down and he soon departed and disappeared through the tall grass. A spirited challenge I thought as I moved on pushing the pram. 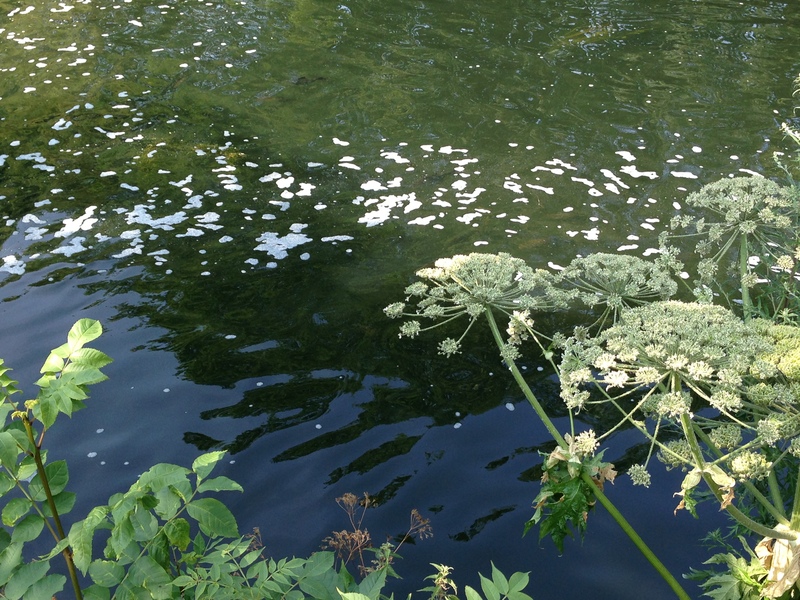 The Lower Lea has a fascination, quite different from the Walton days and the three hundred years of industrial abuse it has endured afterwards, now I feel that this short stretch of river has reclaimed a sense of being natural again, wild and left to its own. 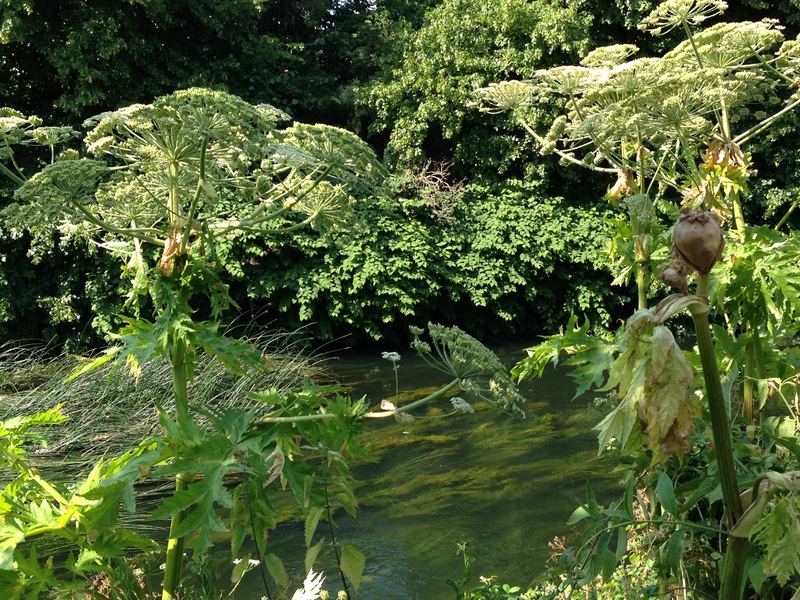 Dog walkers, joggers and pram pushers all pass by, oblivious to the nature and the anglers that lurk, all hidden away. The White House ticket for Hackney Marshes. 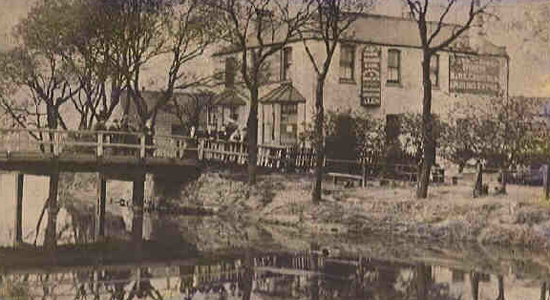 Last year I wrote about the White House public house that stood alone in the Hackney Marshes near the end of Pond Lane. 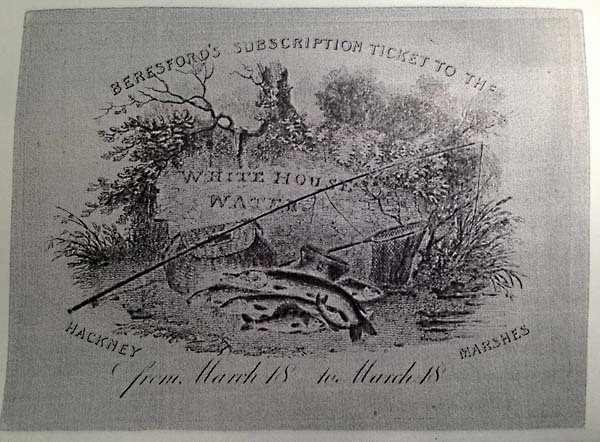 Run by Mrs Beresford this was one of the prime tickets to hold on the Lower Lea. Today the tuesday swim had the privilege to hold one of these hundred year old subscriptions, issued by Mrs Beresford. Walthamstow, Leyton & Hackney marshes in winter. When the snow comes the aesthetic change is quite obvious, where as the acoustic change is more subtle and this brings a stillness to the landscape. My walk today on the marshes was a wonderful duo-tone of colour and was only broken twice, once by the flash of orange from a passing fox and nearing my journey’s end the shrill of two sparrow hawks seeing off a rather brave but very large crow.